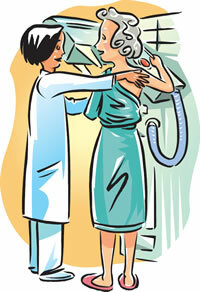 Although the chance of developing breast cancer increases after age 60, the likelihood of dying from it is low. If you're like most women, you consider the possibility of learning you have breast cancer every time you have a mammogram. But breast cancer probably doesn't seem as scary as it did when you were younger, because there has been so much good news about breast cancer in the last 20 years—improvements in mammography, advances in surgery and reconstruction, and drugs that are more effective and less toxic.